Browse: Home / VHostScan – a scanner can be used with pivot tools, detect catch-all scenarios, aliases & dynamic default pages. 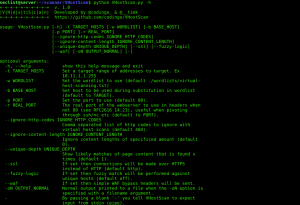 VHostScan – a scanner can be used with pivot tools, detect catch-all scenarios, aliases & dynamic default pages. VHostScan is An virtual host scanner that can be used with pivot tools, detect catch-all scenarios, aliases and dynamic default pages. ← BlobRunner – Quickly debugging shellcode extracted during malware analysis.